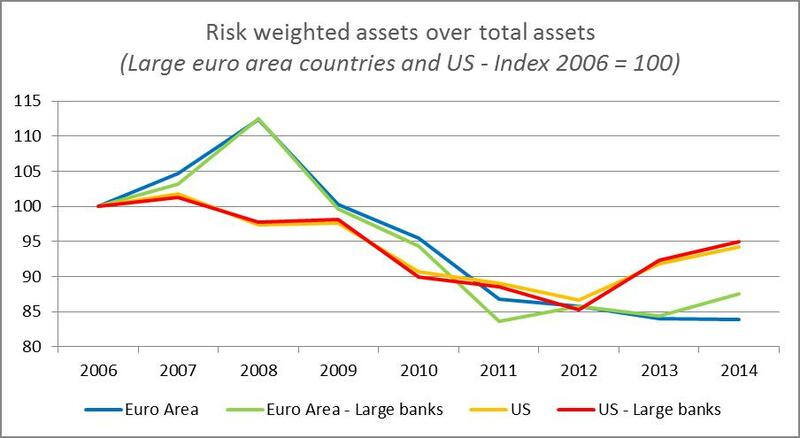 Note1)Data in Figures 1, 2, 3, 6, and 7 refer to all banks with more than one billion of euros of total assets at least in one year between 2003 and 2014, as recorded by Bankscope. 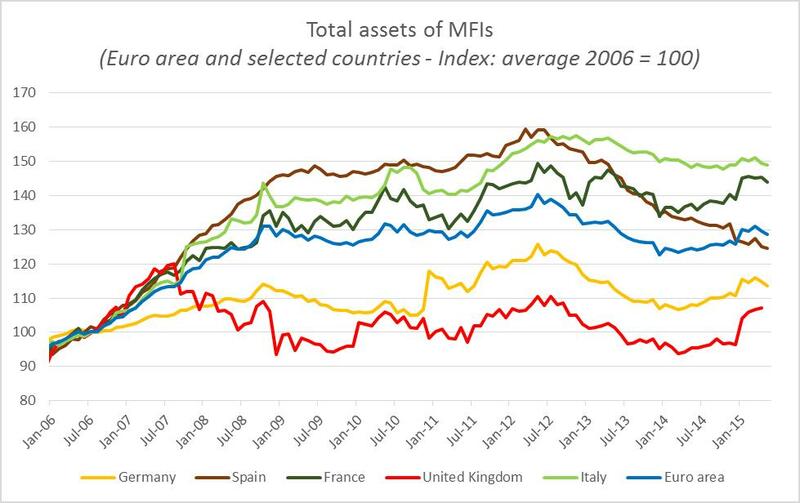 Large euro area countries are France, Germany, Italy and Spain. Large banks are deﬁned as those with a level of total assets above the 95th percentile of the distribution by total assets in 2014. 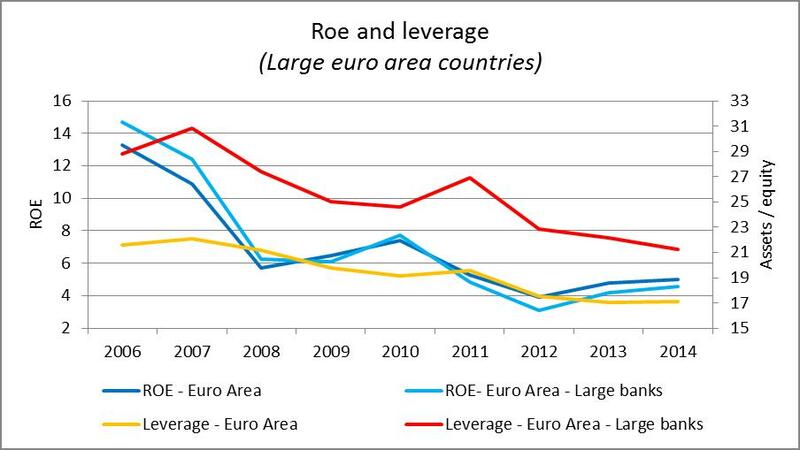 ROE is deﬁned as net income over average total equity; Leverage is the ratio of total book assets to total book equity; risk weighted assets are include ﬂoor/cap according to Basel II requirements (Bankscope code 30700); Tier 1 capital is code 30660 in Bankscope; subordinated debt is total subordinated debt on balance sheet (Bankscope code 18159). Data are at the consolidated level (code is C1 when available and C2 when not C1 is not available). 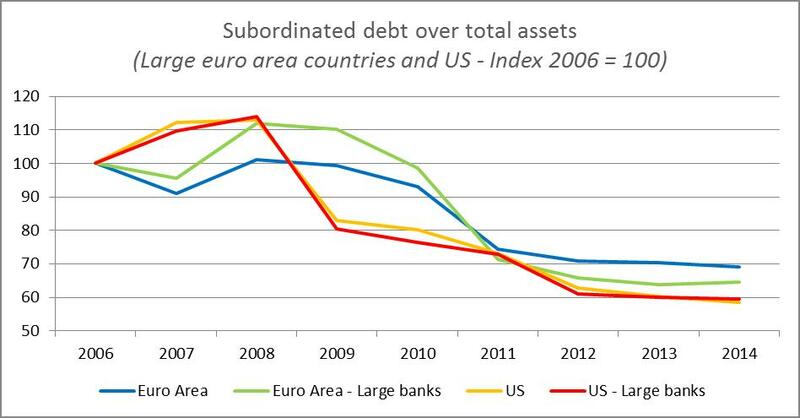 Figures 4 and 5 are from the ECB datawarehouse. 1. 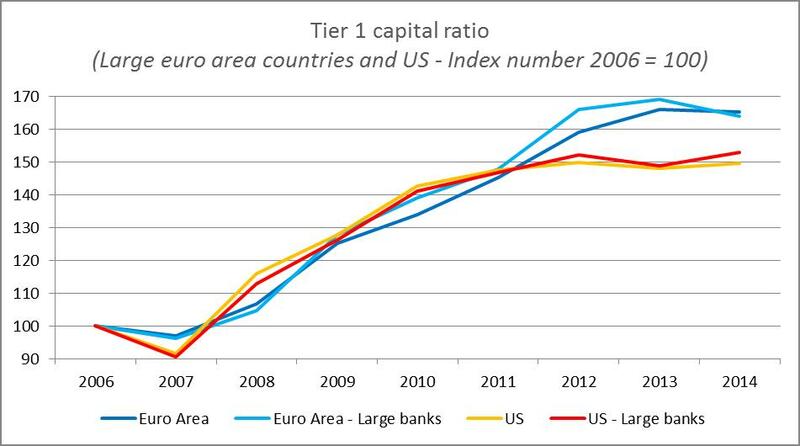 ↑ Data in Figures 1, 2, 3, 6, and 7 refer to all banks with more than one billion of euros of total assets at least in one year between 2003 and 2014, as recorded by Bankscope. 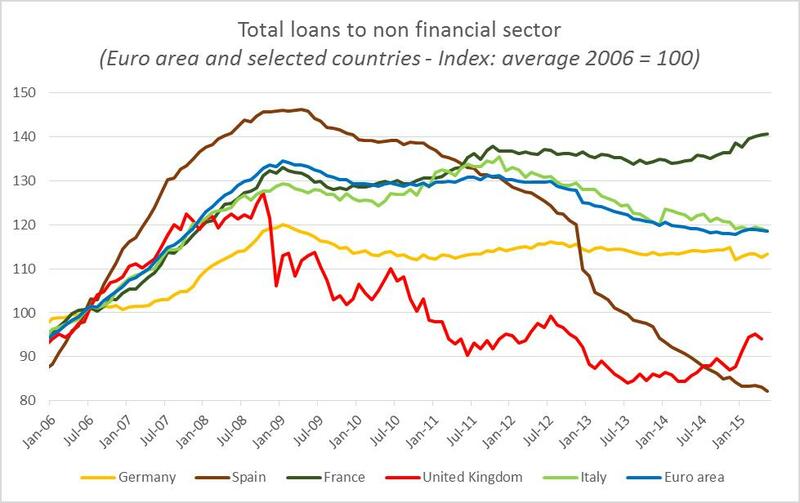 Large euro area countries are France, Germany, Italy and Spain. Large banks are deﬁned as those with a level of total assets above the 95th percentile of the distribution by total assets in 2014. 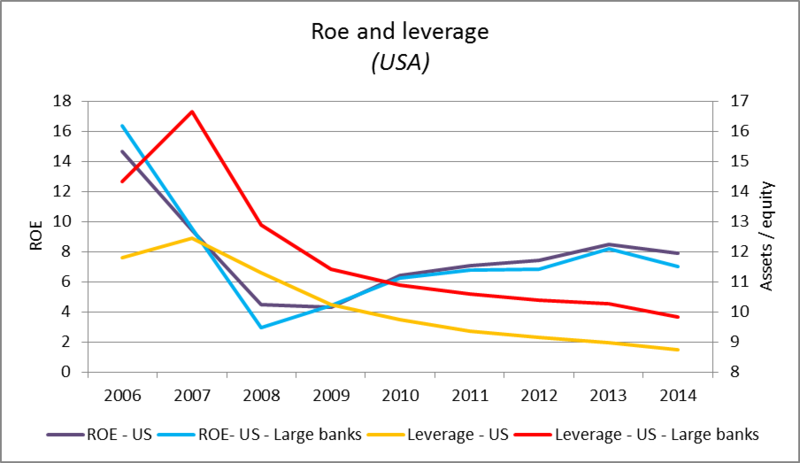 ROE is deﬁned as net income over average total equity; Leverage is the ratio of total book assets to total book equity; risk weighted assets are include ﬂoor/cap according to Basel II requirements (Bankscope code 30700); Tier 1 capital is code 30660 in Bankscope; subordinated debt is total subordinated debt on balance sheet (Bankscope code 18159). Data are at the consolidated level (code is C1 when available and C2 when not C1 is not available). Figures 4 and 5 are from the ECB datawarehouse.